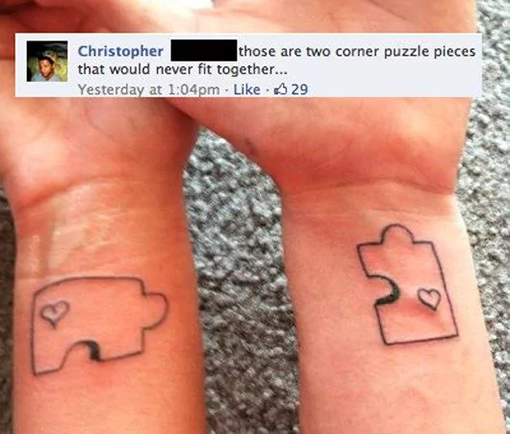 Wow, what a romantic tattoo! Well, if we don't consider the fact that those puzzle pieces were supposed to fit together! I can't imagine the face they made when they realized. Oh my god, Ruth! That's your bloody grandchild, keep your hands and mouth off him! I think he can also call her LOVER. 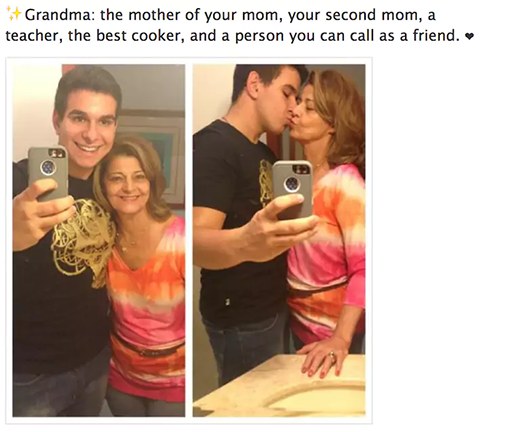 That's disgusting, I hope they are not actually related.